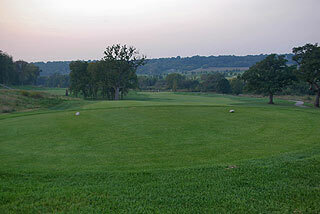 Hawk's View Golf Club, located 3 miles north of beautiful downtown Lake Geneva features Como Crossings, Lake Geneva's only 5 star rated course, and Barn Hollow, a unique 18 hole short-game challenge course. 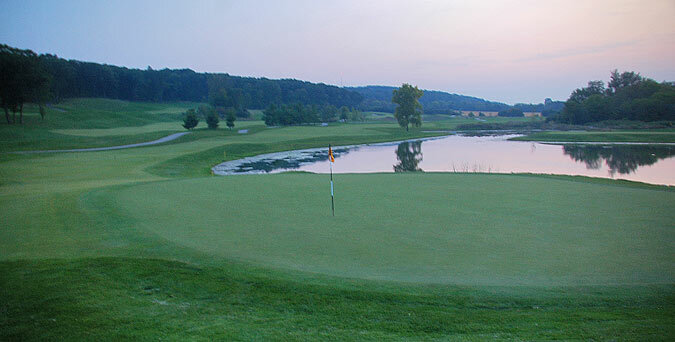 These courses, designed by Craig Schreiner, blend nuances of traditional golf architecture with dramatic elevation changes, mature trees, open meadows, lakes and wetlands. 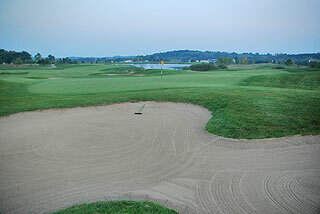 Both courses were designed with an ideal playability unique to southeastern Wisconsin. The clubhouse features numerous banquet rooms and outing venues which include the Red Tail Ballroom, Sparrow Hawk rooms, and Overlook Terrace, and Tail Feathers Bar and Grille is opened daily during golf season offering soups, sandwiches, salads and specials. There is also a pro shop, and men's and women's locker rooms complete with showers. 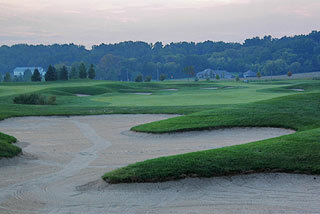 The practice area includes a targeted grass range, short game area with bunker, and a large putting green. 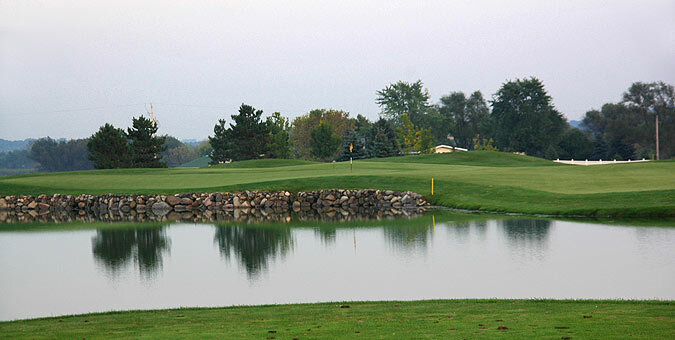 Rated Lake Geneva's only 5-star course,this 18 hole, par 72, 7048 yard championship course offers spectacular views and a layout that will challenge even the best shot makers. It takes advantage of natural elevation changes, including the former Mt. Fuji ski hill. Mature vegetation and woodlands along with a stream that winds throughout the course complement the scenic, rolling topography. 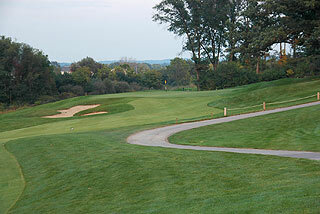 Picturesque covered bridges and a 15 foot natural cascading waterfall come into play on several holes. 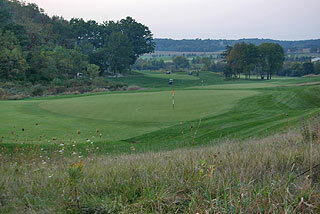 The terrain near the open landing zones is fairly flat and even rewarding accurate Tee shots. 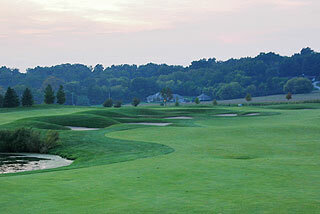 The large putting greens are undulating with steep slopes and multiple tiers. There are five sets of tee boxes that play to distances and slopes measuring 7074 yards/133 slope, 6595yards/128 slope, 6210 yards/124 slope, 5701 yards/118 slope for men and 120 for women, and 5115 yards with a slope of 115 for women playing from the front tees. To the Green GPs provides golfers with yardage info and carts include pin placement sheets to help with club selection while approaching the green. This 18-hole, 2708 yard short-game challenge course is designed to offer families and beginning golfers an enjoyable golf experience while still challenging low handicappers who appreciate the opportunity to sharpen their short game skills. It works with the natural contours of the gently sloping open meadows. 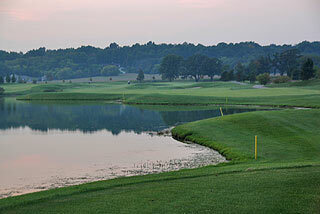 This course can be walked in about two hours, making it an ideal course to play in the late afternoon and evenings. There are three sets of tee boxes to choose from with measurements of 1786, 2254, and 2708 yards, and individual hole distances range from 67 to 222 yards. For more information, visit our detailed listing page for this course by clicking here.